CONSUMER, NW LONDON, £250 PER DAY Branding pioneers, who let their design do the talking. This agency have seen huge growth since it was a tiny start up, to a 150-strong office in London, and soon New York and Singapore. This design agency have a focus on packaging and do it incredibly well, but also offer a full branding service to their clients. This freelance project manager role works alongside the client services team. You will be expected to manage the brand project from start to finish, acting as first point of contact for the client and developing creative plans and inspiring briefs. Your skilled project management skills will ensure that projects are kept on track and budget with internal teams. You should ideally have at least 4-6 years relevant project management experience from another top brand and design agency, coupled with genuine enthusiasm and passion for the brands that you work with. Your expertise can be within either packaging or corporate client led work. You will need to be hardworking, focused and able to deliver to an incredibly high standard whilst demonstrating an unwavering energy for your work and team. 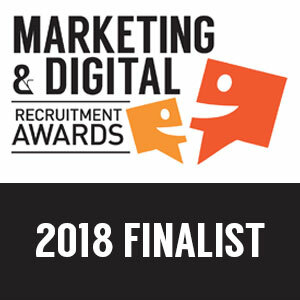 Finalists at the Marketing & Digital Recruitment Awards 2018. Best Niche Sector Agency. Best Agency Side Recruitment Team.